Click here to view Irene's Liturgical Wake Service. Click here to view Irene's Mass of Christian Burial. 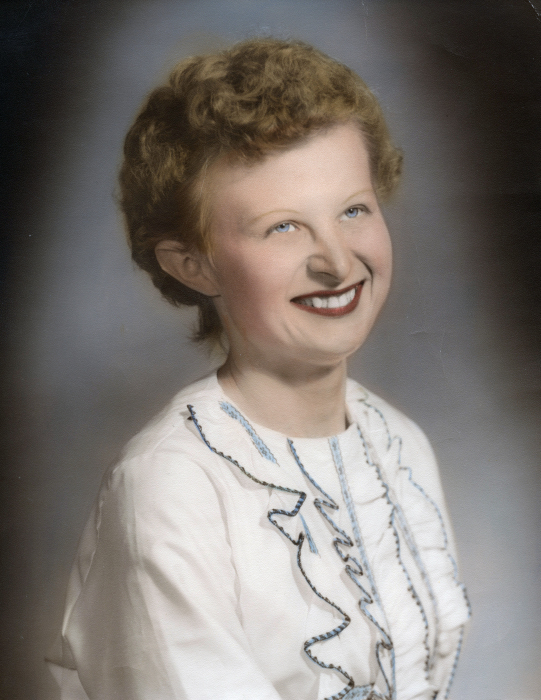 Irene M. Schmidt, 80, of Aberdeen, passed away Sunday, February 3, 2019, at the Groton Care and Rehabilitation Center in Groton, SD. Mass of Christian burial will be 10:00 a.m., Thursday, February 7, 2019, at St. Mary’s Catholic Church, 409 2nd Avenue NE, Aberdeen, with Father Andy Thuringer as celebrant. Burial follows at Sunset Memorial Gardens in Aberdeen. Visitation will be 5-7 p.m., Wednesday, at the mortuary, with a liturgical wake service beginning at 7:00 p.m. Visitation continues one hour before Mass at the church on Thursday. Family and friends may sign Irene’s online guestbook and also view her service via the live stream service link at www.schriversmemorial.com. Irene M. Schmidt was born March 31, 1938, in Ipswich, SD to Leopold “Leo” and Catherine (Feist) Schmidt. In 1941, the family moved to Aberdeen, where she attended St. Mary’s Parochial School. Irene worked in the Housekeeping Department of St. Luke’s Hospital in Aberdeen for many years. She became a resident of the Groton Care and Rehabilitation Center in August of 2012, and continued to reside there until the time of her death. Irene was a life-long member of St. Mary’s Catholic Church. She was also a 40-year member of the Women of the Moose and a member of the VFW Legion Auxiliary in Aberdeen. In her spare time, Irene enjoyed shopping, especially at Roncalli Nearly New, for her nieces and nephews. Blessed to have shared in Irene’s life are her sisters: Margaret Dutenhoeffer, Darlene (Jim) Johnson, Gert McBurney, and Mary Rohrich, all of Aberdeen, Angie Usselman of Groton, SD, and Kathy (Garry) Johnson of Aberdeen; her brother, Edward (Fran) Moch of Oakes, ND; as well as several nieces and nephews. Irene was preceded in death by her parents, Leopold and Catherine; two brothers, Leo and Fred; one sister, Josephine; one niece; and two nephews.